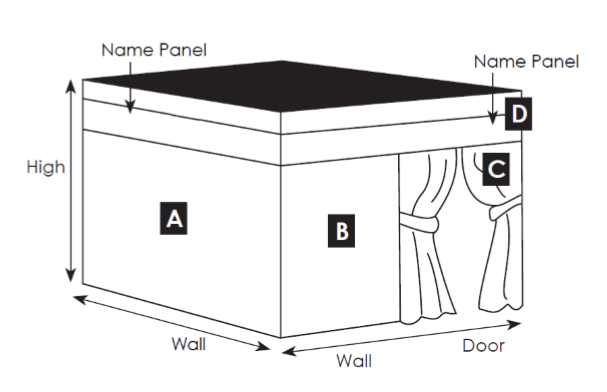 Custom Stall Drapes - Door Panels hang in the place of the stall door (See C in this diagram). 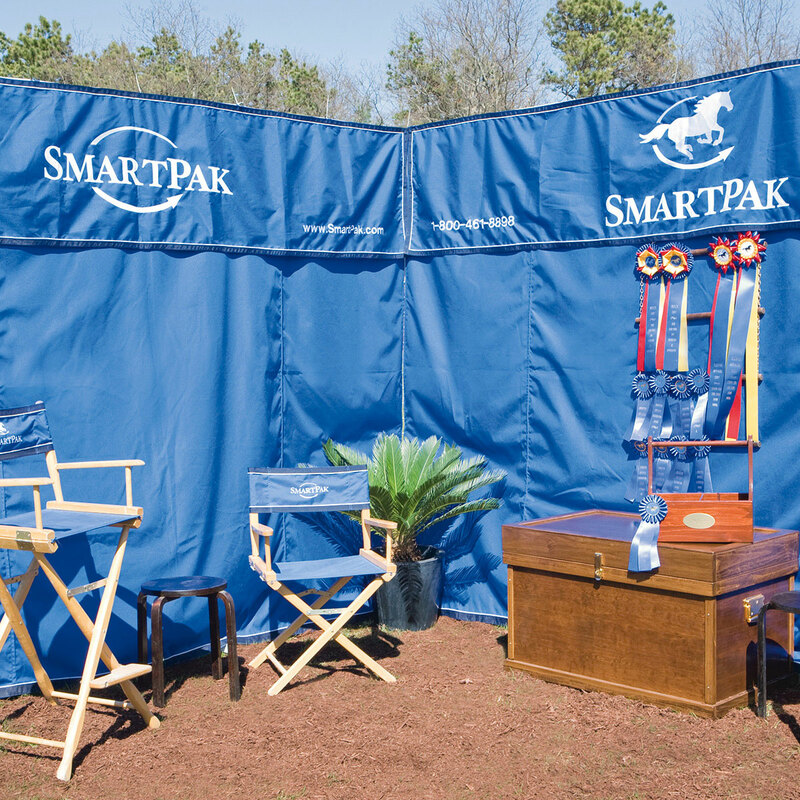 Cordura® is durable, slightly textured fabric often used for horse blankets. It repels water and is mostly fade resistant. Optional grommets may be added for easy hanging. Option of just tiebacks or tiebacks and zippers. *The width is the total of the 2 panels - Each panel is therefore 3' wide. SEE C IN THE DIAGRAM BELOW - THESE ARE THE DOOR PANELS.